You no longer need to keep a keen eye out for new grant-making charities giving money away to charities like yours. 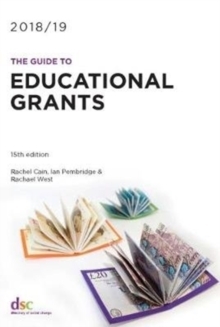 This annual guide tracks new grant-makers established each year, and offers their details to you in an easy to digest format. The Directory of Social Change saves you time by including more than 100 new funders, registered with the Charity Commission in 2016/17, whose giving criteria are general enough to be relevant to the greatest number of charities. At a glance, you can find the details of each new grant-maker, their aims and objectives, the kinds of projects they fund and their application process. Established by a wide range of individuals, including on this occasion well-known sports stars and politicians, these trusts represent and exciting opportunity for fundraisers. 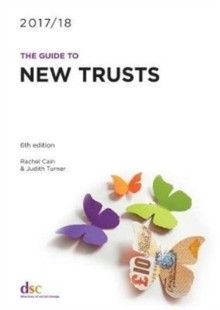 This is the UK's leading guide to new trusts. 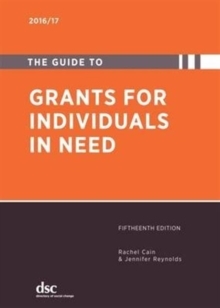 Ideal for any chief executive, trustee or fundraising manager who will find this a vital source of information about new potential funding available to their organisation.